Our front yard, if you can even call it that, is a 6 x 6 foot box to the left of our driveway that hasn’t seen too much love since we moved in. We’ve manicured it a bit in the past and installed some cheap outdoor lights that we had at our last place but thats about it. This past weekend we spent a little time and money revamping it a bit. 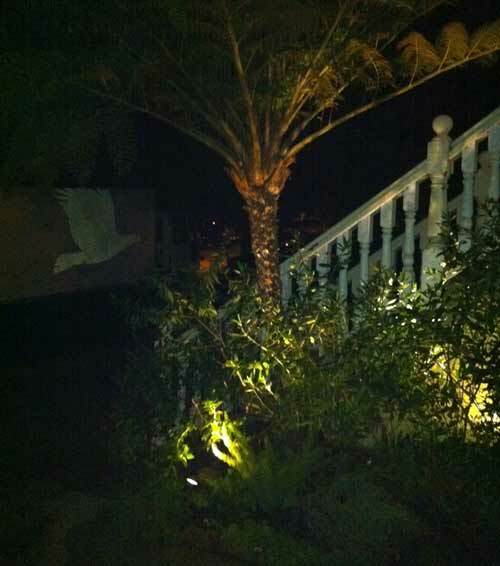 We started by getting new 12v outdoor lights by Portfolio. We bought them at Lowes, but theres no reason you cant get them anywhere else or order them online. We kept our old 120v AC to 12v DC converter and just bought two new lights. 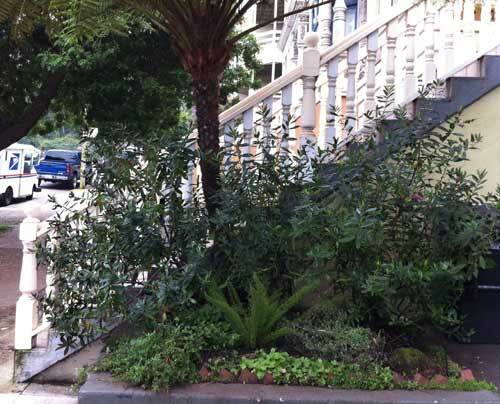 Then we dragged some of the unused plants from the backyard into the front including a fern and oregano. It turned out pretty nice for just a few hours work and $50 in lighting. Its been a while since the last post so I decided to give an update as to the goings on with the house. Since the holiday season is upon us the work has slowed down. We have been doing some odds and ends around the house as always but mostly just relaxing and enjoying all the holiday parties, including our own. 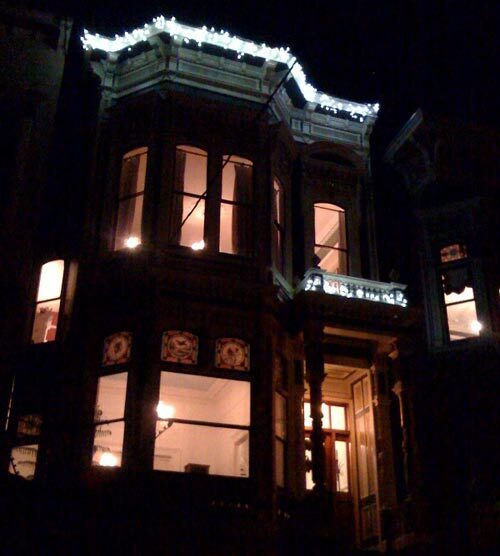 The picture above is of the house all lit up before our holiday shindig. Next year we have a lot of projects planned including the backyard, shop, and wine cellar so stay tuned. Happy holidays. A simple way to add drama to a room is to add some indirect accent lighting. We had held off on painting the skylight box just for this reason. Once the wiring was all done, it was time to buy some rope light and crown molding. 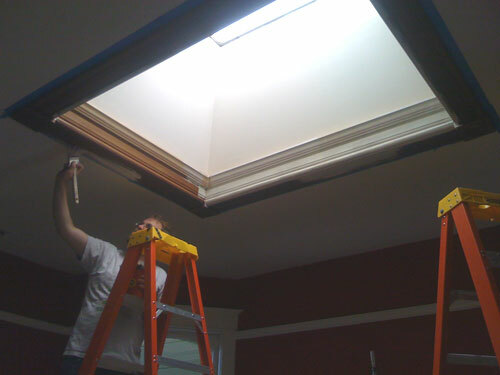 The goal is to add another layer of molding in the skylight box and hide the rope light behind that, providing and indirect glow from the skylight. This project is really quite simple and the only tricky part is getting the crown molding just right. Most miter saws actually have the proper angles and dimensions written on them. If not, there are plenty of videos and how-to’s on the web. Really, there’s not much more to it than cutting four pieces of molding, adding a rope light, some paint, and voila! Instant depth and drama to an otherwise boring part of the room. All in all, the project only takes a few hours, minus dry times between paint.